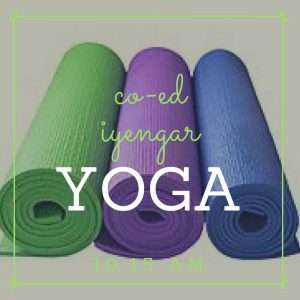 Learn correct alignment and breathing in basic yoga postures with certified Iyengar yoga instructor. 75 minute co-ed class. All levels of experience welcome.